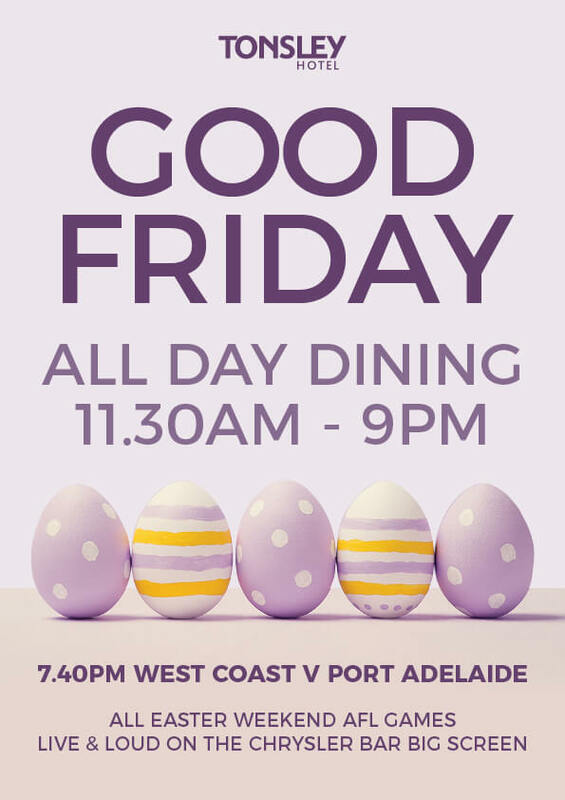 The Tonsley has you covered this Good Friday. If your fridge is looking a little empty no need to worry, we have all day dining in both the Chrysler Bar & the Bistro 11.30am - 9pm. The bottle shop will also be open from from 9am - 10pm. Good Friday Port play West Coast in the west from 7.40pm. Watch all AFL games across the Easter weekend live & loud on the Chrysler Bar big screen.